We are always on the look out for a great infographic about showcasing products and marketing through video. 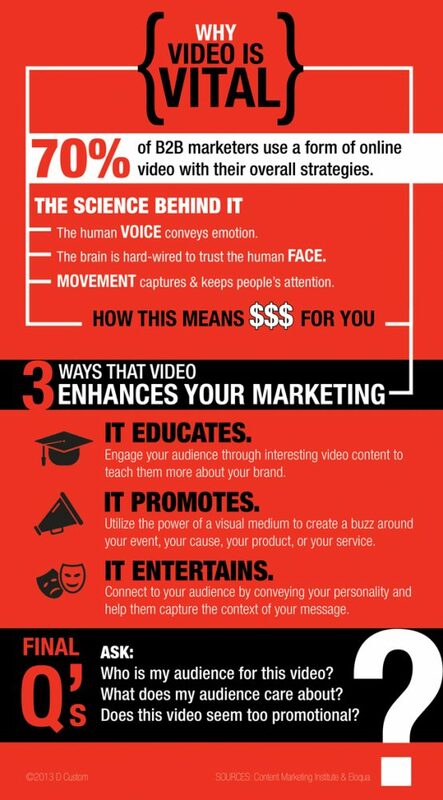 We enjoyed this one created by DCustom about “Why Video is Vital”. Enjoy!